Yeston’s music and lyrics cover a wide variety of styles, from his Cello Concerto (premiered by Yo Yo Ma) to the concert album “Goya—A Life In Song,” (featuring Placido Domingo and Gloria Estefan). The song “Till I Loved You,” from the “Goya” album became a Top 40 hit for Barbra Streisand. Yeston was commissioned by Carnegie Hall to write the modern classical crossover “December Songs”, a song cycle, for its centennial celebration. Commissioned by the Kennedy Center for the Performing Arts, he composed “An American Cantata – 2000 Voices” – a choral symphony in three movements for the National Symphony Orchestra and 2000 singers, conducted by Leonard Slatkin and premiered on the steps of the Lincoln Memorial in July of 2000. 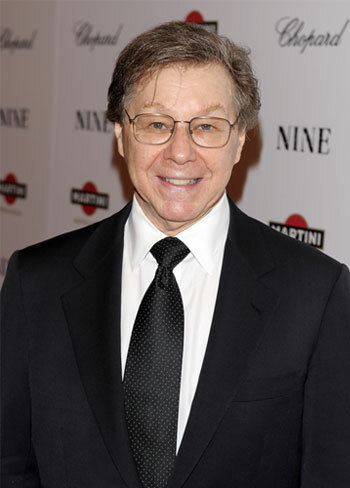 Twice nominated for a Grammy Award, Yeston’s recordings include cast albums of Nine, Titanic, Phantom, Grand Hotel, Death Takes A Holiday, The Maury Yeston Songbook, December Songs, Goya, the Film Soundtrack of Nine, “If I Tell You”—Laura Osnes, Songs of Maury Yeston”, and “Tom Sawyer—A Ballet in Three Acts”. Yeston also wrote the incidental music to the Broadway 2009 hit revival of “The Royal Family”, directed by Doug Hughes, and to the legendary Off Broadway premiere of “Cloud 9”, directed by Tommy Tune. Recently mounted for the New York stage, produced by the Roundabout Theatre, was Yeston-penned musical “Death Takes A Holiday”, with a Book by Peter Stone and Thomas Meehan. The show was cited by Time Magazine as #4 in their Top Ten list of plays and musicals of 2011 and was nominated for 11 Drama Desk Awards for the 2011–12 season (covering Broadway and Off-Broadway), including Best Musical, Best Music and Best Lyrics. The show was presented again in London's Charing Cross Theatre in the Fall of 2016. October 2011 saw the premiere of Yeston’s new full-length Ballet – “Tom Sawyer”—A Ballet in Three Acts”, a symphonic work commissioned for the Kansas City Ballet to inaugurate Kansas City’s new Kauffman Center for the Performing Arts. Alastair Macaulay's NY Times rave review declared “this is the first all-new, entirely American three-act ballet: it is based on an American literary classic, has an original score by an American composer and was given its premiere by an American choreographer and company.” A 2-CD recording of the entire three-act 1 hour 35 minute work, performed by The San Francisco Ballet Orchestra, was released by PS Classics in August 2013. Also in July 2013 the European premiere of the small Ensemble “Titanic” opened to rave reviews at the Southwark Playhouse in London, winning Broadwayworld UK's Award for Best Regional Production of a Musical in the UK, Whatsonstage Best Regional Production of a Musical, and swept the Offie Awards in four categories including Best Musical Production. Southwark Playhouse matched this success in August 2015 with their well-recieved production of “Grand Hotel”, garnering Critic's “top picks” from numerous UK publications. Yeston's latest project is entitled ”The Lady Eve”, a new musical with a Book by Thomas Meehan, adapted from the legendary Preston Sturges' hilarious screwball romantic comedy film that featured Barbara Stanwyck and Henry Fonda. In addition a revue showcasing his work, conceived and directed by Gerard Alessandrini - “Anything Can Happen In The Theater, The Songs of Maury Yeston” - opened to great acclaim at the Triad Theater in New York in the Fall of 2017. Yeston holds a PhD. from Yale University and BA and MA degrees from both Yale and Clare College, Cambridge University. He is the author of “The Stratification of Musical Rhythm” (Yale Press) – a seminal music theory text noted for its groundbreaking innovation in the theory of rhythm. He was Associate Professor and Director of Undergraduate Music Studies at Yale for eight years and has been Director of the BMI Music Theatre Advanced Workshop in New York City for over twenty years. He is a lifetime member of the Council of the Dramatists Guild, and on the Board of the Songwriters Hall of Fame, The Kleban Foundation and The Kurt Weill Foundation. He also serves on the editorial boards of Musical Quarterly and the advisory board of the Yale University Press Broadway Series. Yeston was a Kayden Visiting Artist at Harvard University in 1998, received The Elaine Kaufman Cultural Center Creative Arts Award in New York as Artist of The Year, and was The Encompass Opera’s Lifetime Achievement Honoree in 2009.